Yao Defen holds the record for being the tallest woman in the world by the Guinness World Records. Standing at 7 feet 8 inches tall or 2.33 meters, she weighed 395 pounds and a size 26 feet. She became this very tall due to a tumour in her pituitary gland. She died on November 13, 2012 at the age of 40. Sandy Allen was recognized as the tallest woman in the world by the Guinness World Records during her time. She stood at 7 feet 7.5 inches tall. She also suffered from a tumour in her pituitary gland which contributed to her abnormal height. She underwent surgery at the age of 22 for her health problem. Sandy appeared in numerous films and TV shows such as Il Casanova di Federico Fellini, Side Show, and Being Different. She never got married and was never in a serious relationship. Her gigantism caused her several health problems and became bedridden. She died on August 13, 2008 at the age of 53. Maria Feliciana dos Santos comes from Brazil and stands at 7 feet 4.4 inches tall. She was a singer, a basketball player and a circus performer. She performed in public as their source of income and even won as the Queen of Height in a contest in Chacrinha. She was married with 3 children. When her husband died in a car accident, she began living in poverty in her home. Svetlana Singh comes from India and is believed to be the tallest woman in India. She stands at 7 feet 2 inches tall and married a guy who is also tall. Her son, who is only 5 years old, is already 4 feet 5 inches tall. Svetlana is a doctor of naturopathy and holistic medicine. 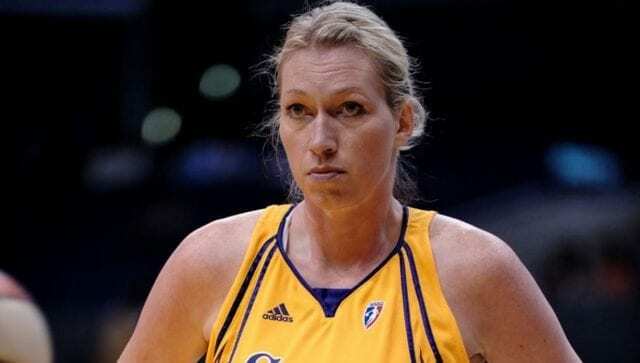 Malgorzata Dydek or Margo was the tallest professional basketball player in the world. She coached for Northside Wizards and played as centre for Connecticut Sun in the WNBA. She was born in Warsaw, Poland to family of tall people where her sisters are also professional basketball players. She received awards and recognitions during her time. She got married in 2008 and had 2 sons. She died on May 27, 2011 at the age of 37. Zainab Bibi is from Pakistan who now lives and works in Britain. She is afraid to go back to her country because people were hurting her and even got injured in one attack. Standing at 7 feet 2 inches tall, she is considered to be one of the top 10 tallest women in the world right now. Born on March 9, 1952, Uljana Semjonova is a retired basketball player from Latvia. During her time in the 70s and 80s, she was the leading women’s basketball player in the world and wore a size 21 shoe. She played for TTT Riga and joined the Olympics for team USSR. She received multiple awards for her talents, including Order of the Red Banner of Labour, enshrined into the Basketball Hall of Fame, FIBA Hall of Fame, and Lifetime Contribution to Sport. Malee Duangdee is considered the tallest woman in Thailand and the second tallest woman in Asia. Standing at 6 feet 10 inches, Malee never got formal education because her brother was too embarrassed to be seen with her. Her gigantism was due to a tumour in her pituitary gland and had several surgical attempts to remove the tumour. Rita Miniva hails from Zambia and is now living in the United States to study and make her living. Standing at 6 feet 8 inches tall, she is a perfect candidate for a basketball career in the country.